Wood artist Vic Barr handcrafts creations to reveal what's under the bark. 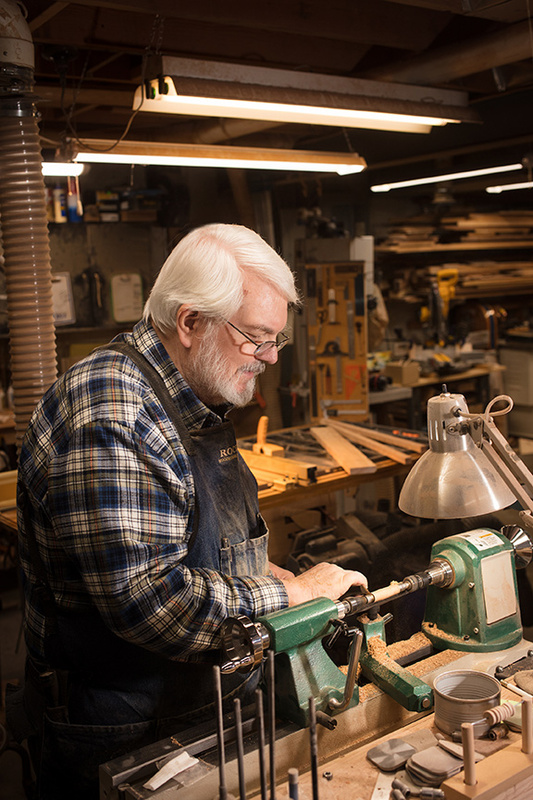 Barr describes himself as a wood artist and fine craftsman. 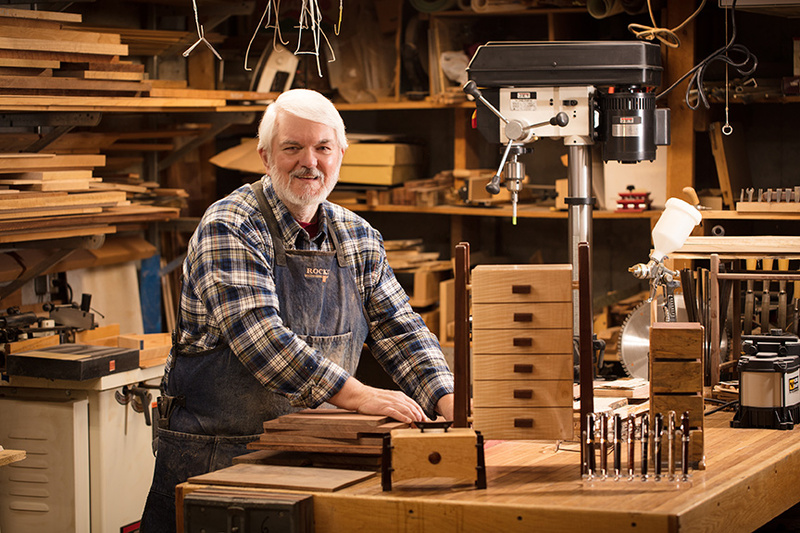 He has carved, fit and finished jewelry towers, treasure boxes, fountain pens and desktop sculptures from 95 species of North American and exotic hardwood. When asked to choose a favorite, and he demurs as if being asked about a preferred child. 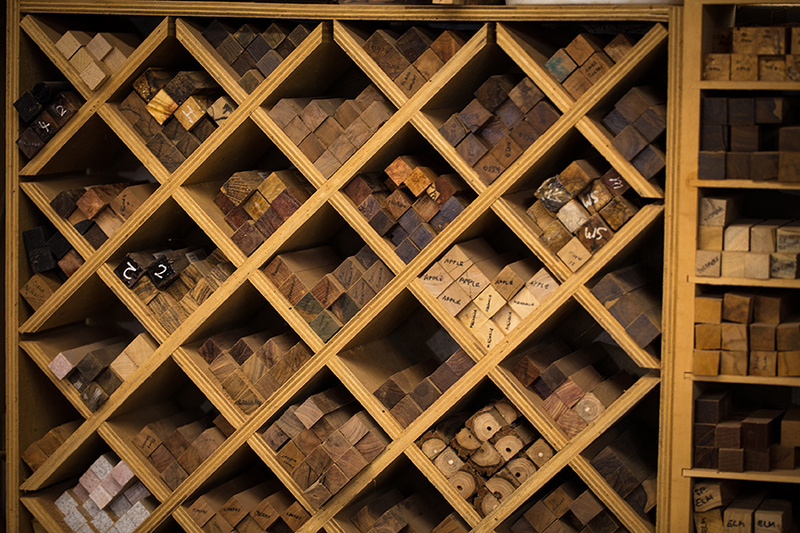 “My favorite wood is the one that I haven’t done [used] yet, because I’m always thinking about what I can make next,” he says. But his eyes do twinkle when he marvels at the marbling in his Bethlehem Olive planks. Yes, that’s wood he imports all the way from Bethlehem in the Middle East. 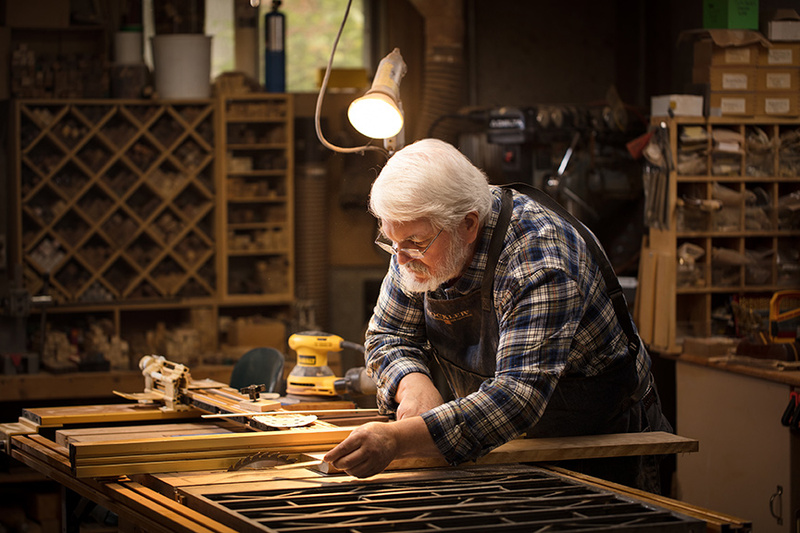 Barr enjoys working with vintage timber to make family heirlooms. 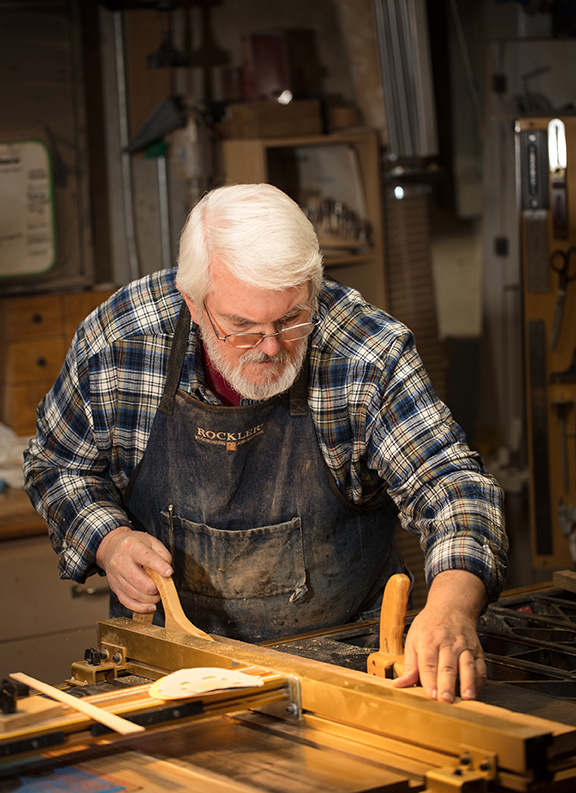 For example, Barr repurposed the wood from his great-grandmother’s rocking chair (a wedding present for her 1870 nuptials) to create keepsakes for his family members. 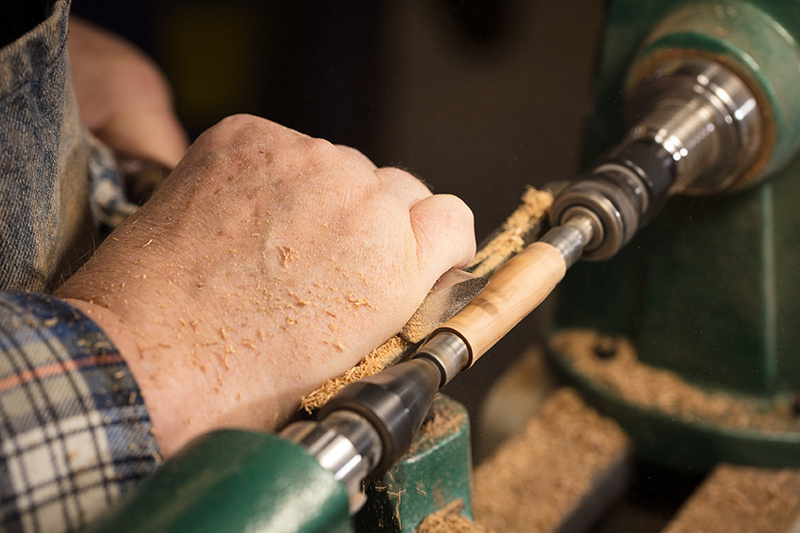 In the past, Barr has been commissioned to make pens out of logs from a family barn and cabin. “When the buildings aren’t in the family any more, these pens are. It’s a way to extend the life indefinitely of something that has meaning for a family or a person,” Barr says. Barr’s art can be seen on his Facebook page, Matanda Wood Creations, and on his website, Matanda.com. The name is a tribute to his two children, Mathew and Amanda. After he chose it, Barr learned that matanda is also a Filipino word that loosely translates as “wise old man,” which tickled the retiree. For the past eight years, Barr has used his wisdom to serve as co-chair of the Art Fair at Queeny Park. He is also an active member of the Greater St. Louis Art Association. For more information about current offerings and commission work, the artist can be reached at [email protected].